Yes Christmas is upon us and I couldn’t be more excited. 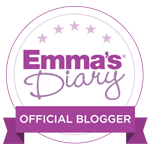 I have been loving looking for some affordable treats for all the family so have a nose and see who you might fancy treating (don’t forget we all deserve a little treat at Christmas too…..)! There are so many beautiful things in Next for this Christmas and many things I simply couldn’t resist. 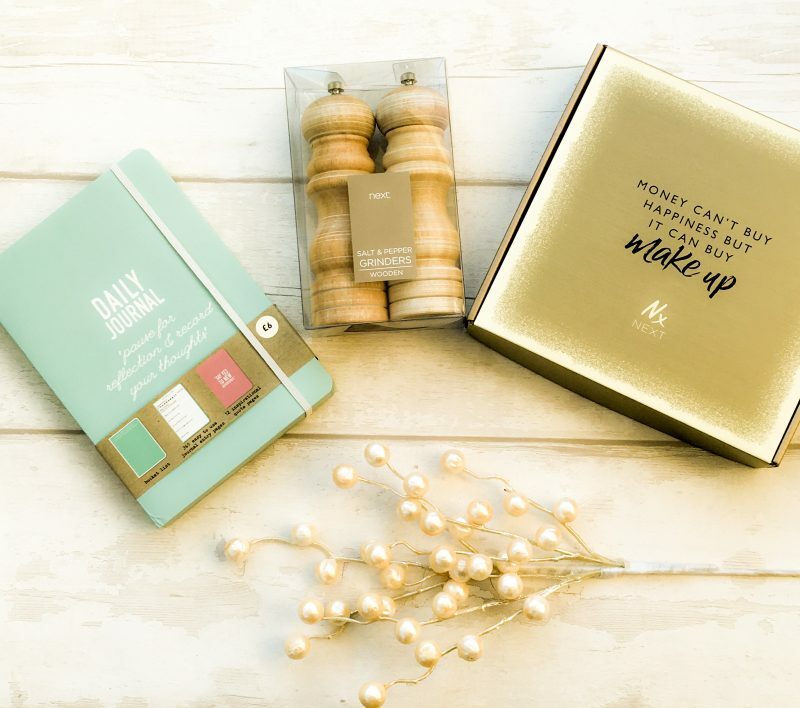 This Bronzed Glow Beauty Box is packed full of beautiful items including a gorgeous illuminator perfect for the party season! Everyone needs a cute diary to stay organised and this daily journal is perfect and full of cute motivational quotes. And you can deck out the kitchen with some cute accessories that will surely encourage the man in your house to get his chef hat on. I love these distressed salt and pepper shakers; come on husbands take the hing and get cooking! 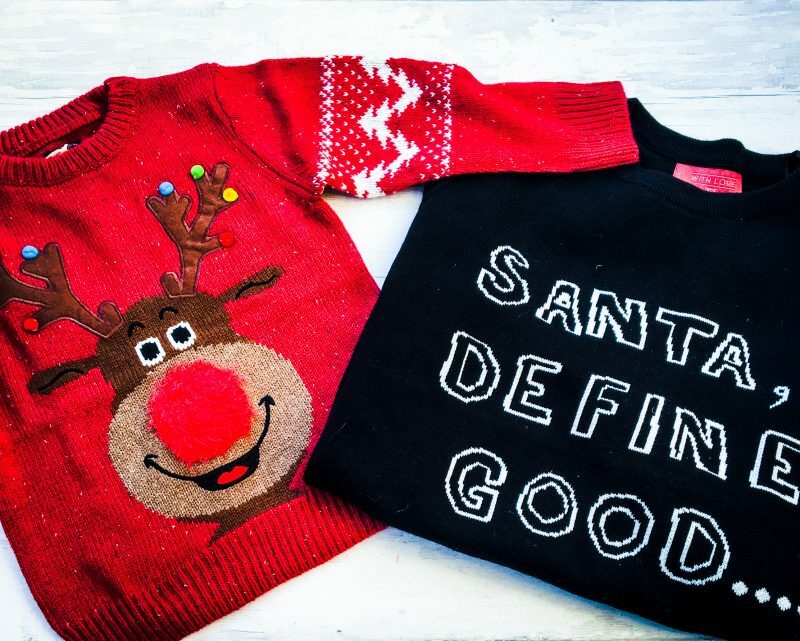 Christmas wouldn’t be Christmas without a festive jumper and Next has the most gorgeous and high quality selection. There are so many cute ones for toddlers including this Rudolph one that I will be decking Josh out in! I personally love this cheeky style – Santa will understand surely! Another fun part of Christmas is decking out the house in some festive decor and some of the items available make the most beautiful of gifts. 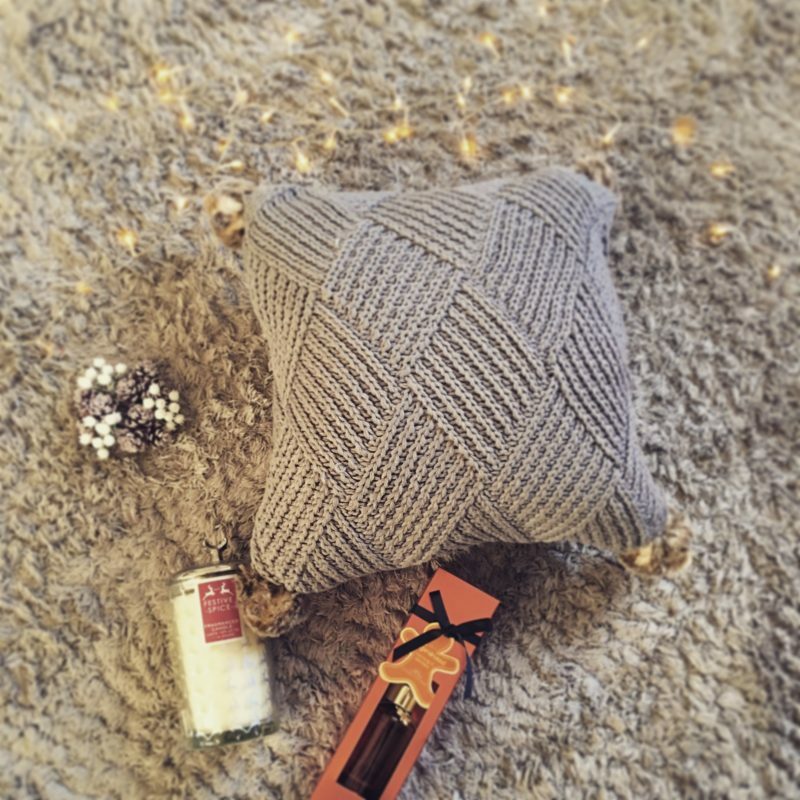 This pompom cushion of dreams is the epitome of cosy for winter. 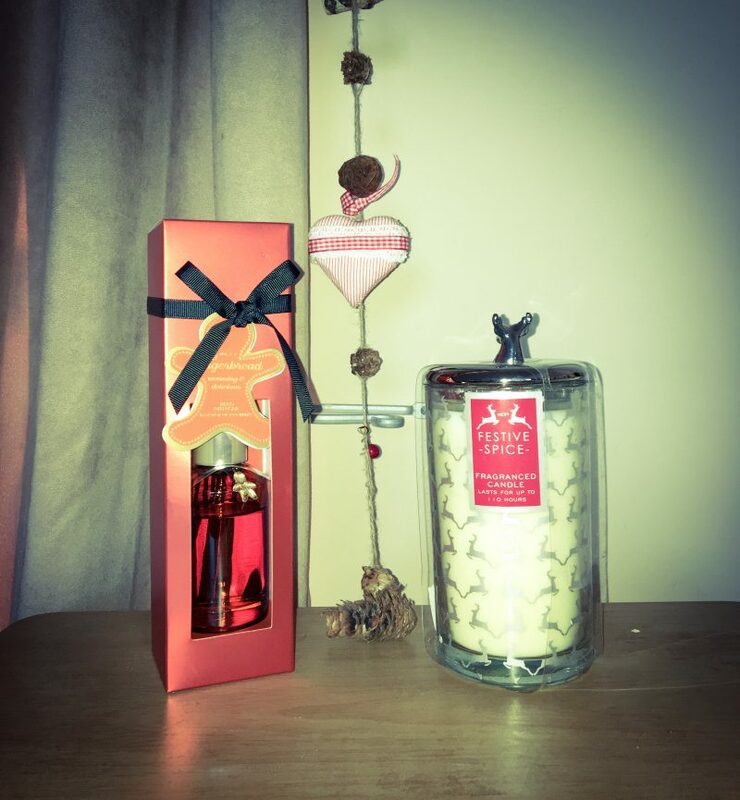 Couple that with some festive candles and the most delicious gingerbread diffuser and you will have the most lovely Hygge feeling house for the festive season! Of course we can’t forget the men in our life! 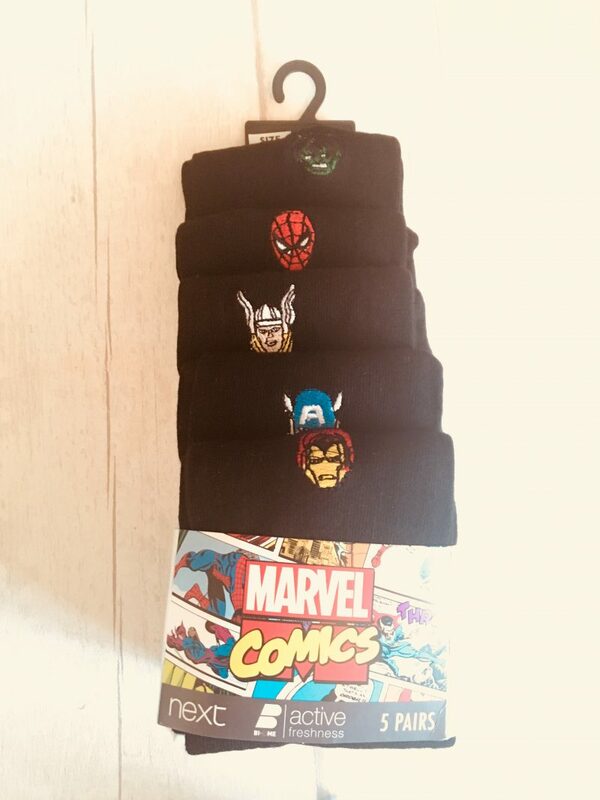 What is it with Christmas and socks – they go hand in hand and so to make them a little bit more interesting, play up to the child within your man and treat them to Marvel Comic socks although be warned you’re bound to be “educated” on each of the characters! Or encourage them to smarten up! 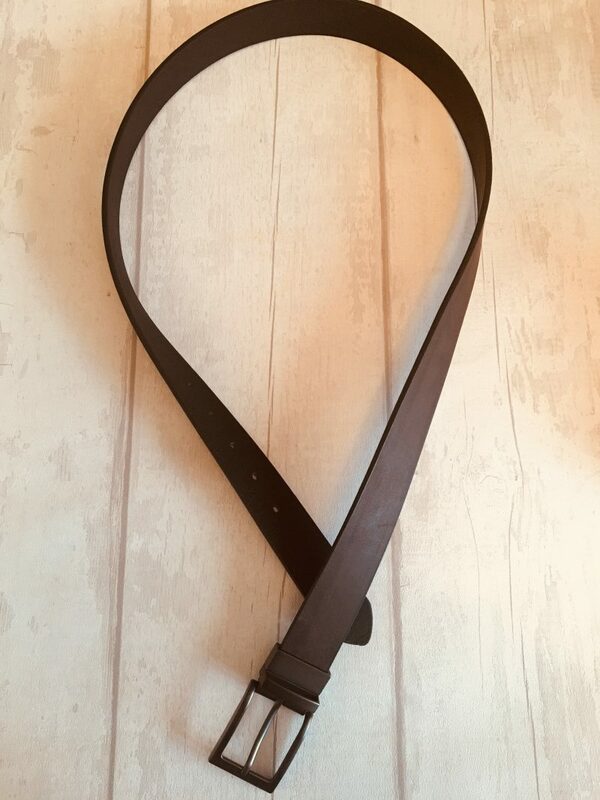 I know for one, my husband loves a classy smart look for work and this belt makes a really nice gift and is something that will be used every day! And of course, along with Christmas jumpers, it’s also the season for cosy pyjamas! 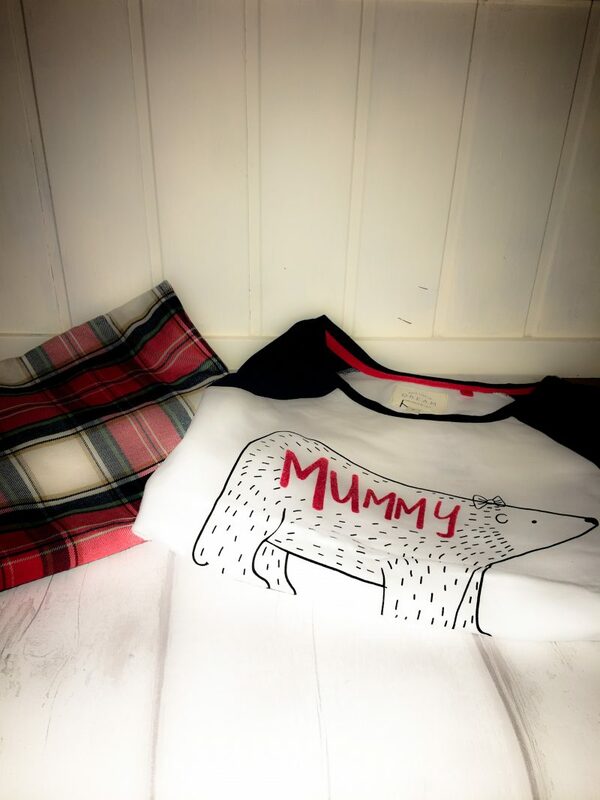 For those Mama’s out there, make sure the family know who Mama Bear Boss is with these adorable pyjamas! Of course, we can’t forget the kids this Christmas! As if we ever would (and as if they’d ever let us)! Josh will undoubtedly get all manner of lovely presents but we are beyond excited to give him some amazing Little Tikes sets! With Little Tikes Waffle Blocks, it’s easy to get small hands building for real. Build a world of fun with the only easy-to-use construction system designed to connect in different ways allowing even more imaginative play. Just stack… lock… build… and create! 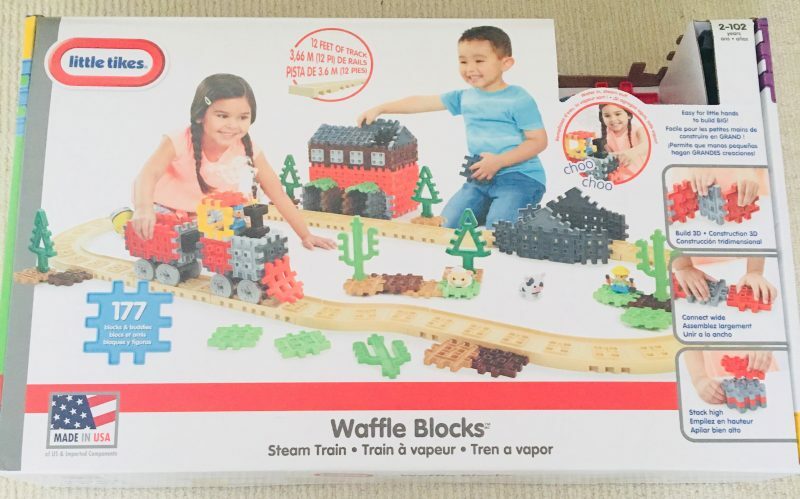 All aboard the Little Tikes Waffle Blocks Steam Train! With real steam and train sounds, the fun never ends! Your little conductor can build a 3D train track, train and station, or whatever else they can imagine! Explore endless possibilities with Waffle Blocks and their friendly figures, creating towering playsets, moving vehicles, or anything your little one can imagine! 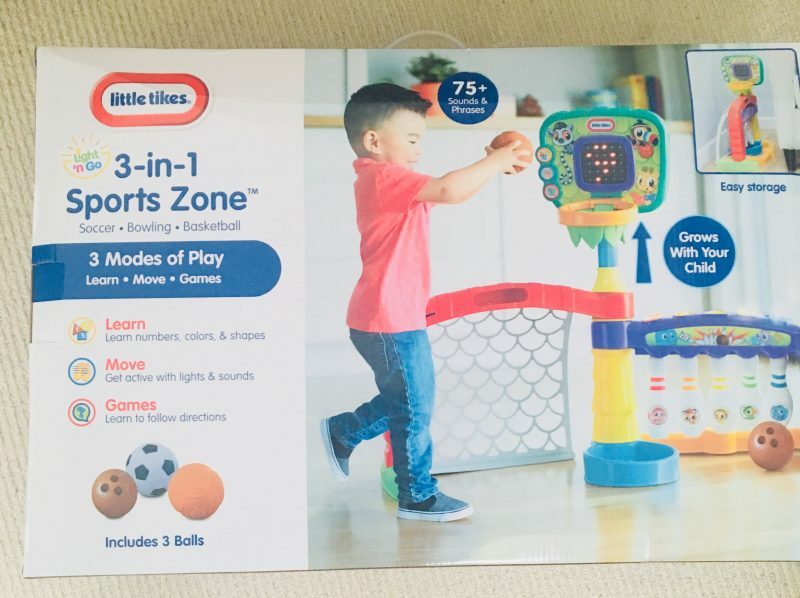 I know Josh is going to be obsessed with the 3 in 1 Sports Zone! Dunk, kick and score with fun infant sport zone. Babies will love playing basketball, while developing coordination and confidence! Future sports stars will develop motor skills, hand-eye-coordination and confidence while playing football! Little bowlers will have a ball knocking down and re-setting pins. This sports Zone grows as your baby does with three modes of play and adjustable height basketball hoop. It even folds for easy storage! It’s a slam dunk of a gift! So that’s a few of my picks for this festive season! I hope they give you some inspiration and go ahead, treat yourself!!! Disclaimer: This post has been written in collaboration with Next and Little Tikes who kindly gifted us with some Christmas products to try. But ALL opinions are my own. Merry Christmas! Previous Post One of those crying in the toilet mornings……! 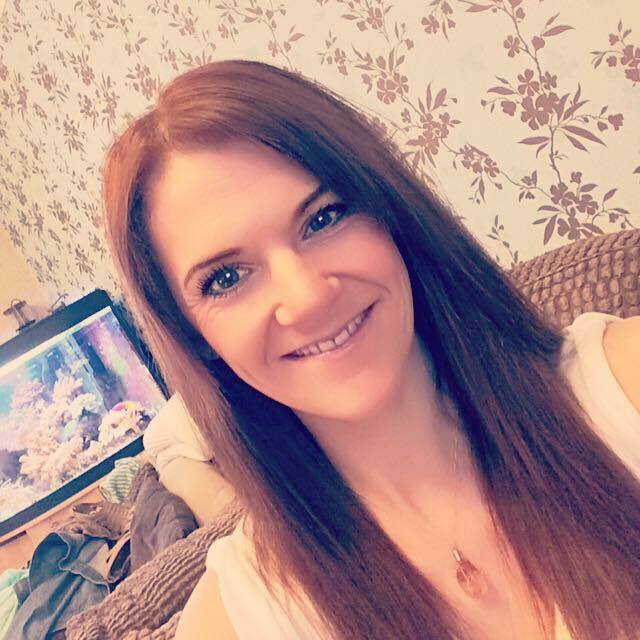 Next Post Pregnancy Vs Sleep!